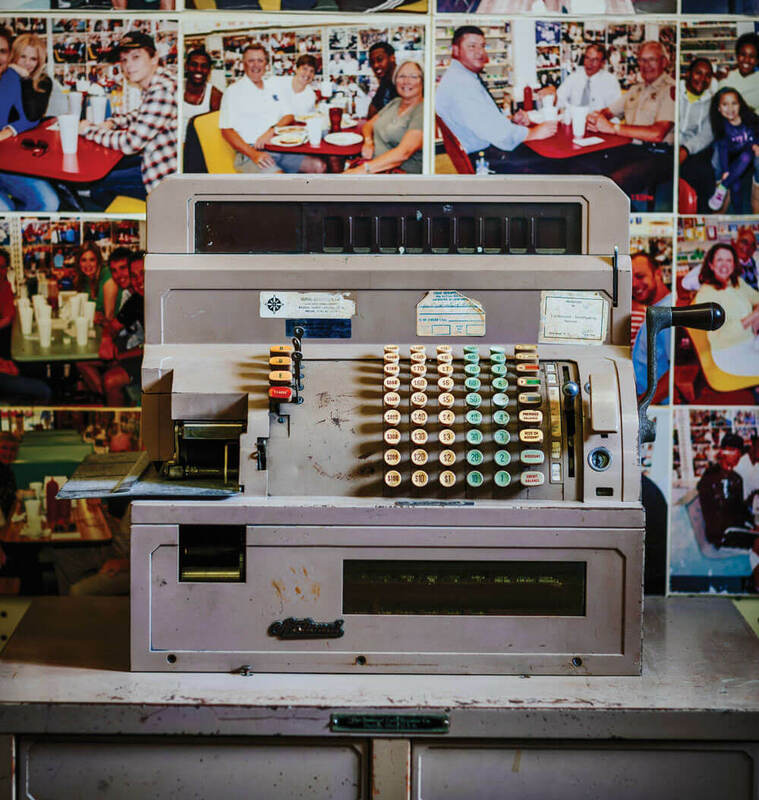 Lessons learned while working the cash register at Sutton’s Drug Store in Chapel Hill went beyond just making change. I’m a cash man, mostly. An endangered species. One of those folks who still totes a slim wad of “paper money,” as the old-timers call it. Even though my job as a writer involves receiving multiple checks a month, from multiple sources, in wildly varying amounts — not wildly enough, I have to say — I still shove all of that money into the bank. Every penny. And every other Friday, I make a pilgrimage to the ATM on the corner and withdraw a prefigured number of $20 bills. Same number, every other Friday. That’s my spending money. My portion of the groceries and gas, whatever clothes and toys I need, my tab for restaurants and nights on the town. My wife, Julie, and I pay mortgages and utilities and charities by automatic debit — I’m not a total knuckle-dragger — but as far as disposable income goes, I dispose of it into my back pocket and dispense of it as I see fit. I don’t require a computer program or phone app to ping me when I’m running low. I don’t rely on a fancy spreadsheet to tell me if I can shell out for another fishing reel or if I should make do with the 20 I already own. When I run out of money, see, I run out of money. That’s about as analog as you can get. It’s not quite that cut and dried, of course. We have savings accounts and credit cards and all the other financial accouterments of modern life. But by and large, Tedward, Inc., and Andrew Jackson have a close and personal relationship. Cash comes in, and cash goes out, and me and Andy know where we stand with each other at any given minute. I’ve long wondered where such an old-school approach to personal finance is rooted, and I think I finally figured it out the other day. 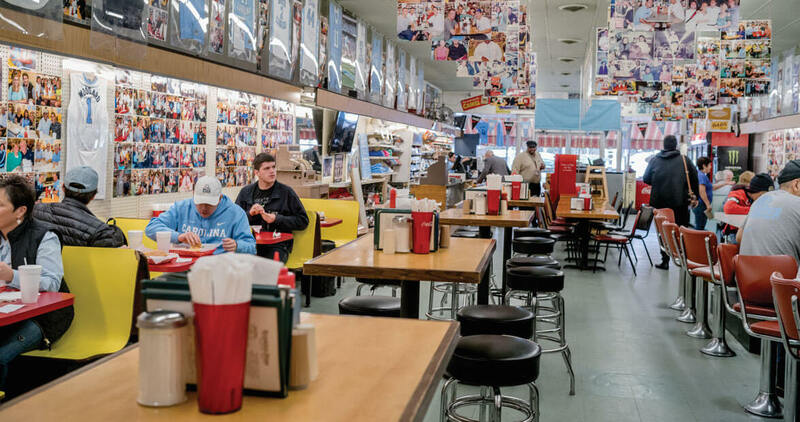 I was in Chapel Hill to visit my son, Jack, and we stopped for lunch at Sutton’s Drug Store, the venerable Franklin Street institution that has been a source of cherry Cokes and cheeseburgers for decades. When I saw the old NCR cash register, in perpetual storage near the old wooden back steps, I nearly swooned. I worked at Sutton’s for four of the most formative years of my life, as both a college student and a college graduate with no clue what to do next. Working full-time after graduation, I cleared $124.46 a week, and I made every penny pushing the mint green and lemon yellow currency buttons on a cash register that looked like it could have been made about the same time as the Titanic. These days, you don’t get too much from checkout folks. “Stick it in the card reader” was the sum total of my most recent conversation with a clerk at my drugstore. Motherboards and the Internet take it from there. You can score a “Paper or plastic?” if you’re at a grocery store, perhaps a “Thank you, sir,” if the kid running the so-called cash register happens to be from some rare place where folks are still raised with manners. But most of the time, you just sign on the pad with your fingernail like all the other sheep and grab your bag. Oh, but back in the day — and yes, this is going to be one of those stories. Back in the day, you’d show up at my Sutton’s counter, and the dance would begin. There was a Hey there, how you doing? and a I think you’re in my econ class. Buyer and seller had some skin in this game of petty commerce, something to gain by establishing a quick commercial rapport. I was a fallible human and could hit the green $3 cash register key instead of the $2 tab with complete innocence. You kept me on my toes. And if I happened to overcharge, things went a lot easier if we’d already established that I was no shyster, just a kid trying to put fuel oil in the heater tank at my duplex while you paid for your acne cream between classes. There was a lot going on up there at the front counter of Sutton’s. The cash register had a separate button for each digit and denomination. $100, $10, $1, 10 cents, and 1 cent. $200, $20, $2, and so on. A hair dryer that cost $12.99 required me to punch four buttons — four whole buttons — one at a time and in proper order. Plus, the “addition” tab to set up the system for your six-pack of ponytail holders and three composition books. After each item, I had to rack the large silver handle on the side of the cash register, like playing the slots in Vegas, and add the bubblegum, r-r-rack, and the deodorant, r-r-rack, and the geometry protractor, r-r-rack. And then, to give you the correct change, I had to count it out loud, into your hand, every dollar and coin to get it just right. Like I said, a lot to keep track of. It was a good thing I had both journalism and English degrees. All of that came flooding back when I saw that mothballed behemoth of a cash register, stuck in the back of Sutton’s like an old doll in the attic. I must have mashed its buttons a million times in my career as a front counter commerce consultant. Each transaction fraught with its own unspoken rules of etiquette and deportment. Each purchase accompanied by its own musical score, jangling and clanging like a fair ride. Now it’s just bleep-blip-bleep. Stick it in the card reader. So enough curmudgenous carping. For Pete’s sake, I’m not that old. I’ll even admit that it’s awfully convenient to be able to move cash around on my smartphone, covering the kids’ unexpected expenses. I’m even tempted to sign up for an app that acts like a digital wallet and lets people throw virtual money around like they’re sharing snapshots of sleeping kittens. So you can see that I’m not against technology. I just think it’s important to know the value of a dollar. Because I do. And 34 years later, I still know where to find it: bottom row, fourth key from the right, the first yellow one you come to after you rack the register handle. Nickens is editor-at-large of Field & Stream and the author of The Total Outdoorsman Manual. His articles also appear in Smithsonian and Audubon magazines.